Flowers are the most amazing way to express emotions. It's the best gift that suits all occasions. The freshness and essence of flowers uplift anyone's mood. 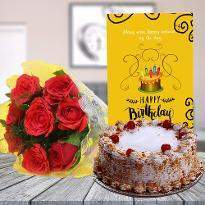 Convey your warm wishes and blessings to your beloved ones by sending flowers in Kolkata on their birthday, anniversary or any other special occasion. With its enthralling look and pleasurable fragrance, it leads to the reduction of anxiety and worries. Order flowers online to express your emotions in a unique way. 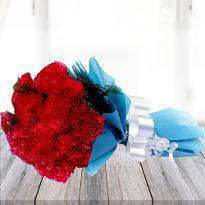 A bouquet of flowers is considered as the epitome of love, care, peace and respect. They are the natural gift to spread happiness in everyone's life. 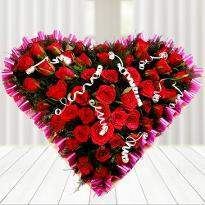 Explore our flower category and select the one as per your choice. We will deliver your order to specified location and time. 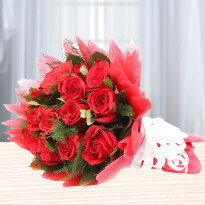 Getting a bunch of fragrant flower bouquet with a message can make you feel so glad that you can't imagine. We know that flowers are one of the things in this world which have a lot of meanings and are one of the best ways to express your feelings and love. The most loving flower is the Rose also called queen of the flowers, it also have different colors signifying different means and feelings. 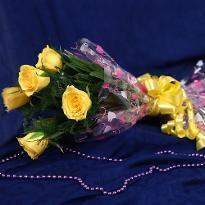 The Red Roses signifies the deep and intense love for your partner, Yellow being the symbol of friendship and joy, so giving Yellow Roses to your loved ones including friends and colleagues. White rose are the symbols of peace one can use them as present when it's time of say sorry to your loved ones. 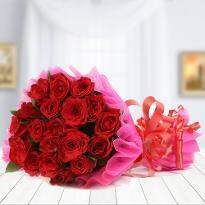 To show the feeling of deep attachment and love you can gift Pink Roses. So flowers are a good attachment to one's life, they hold important place in our life and we can't live without them. 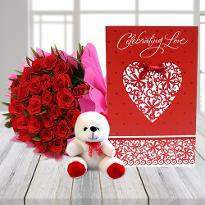 You can choose Winni for flowers delivery in Kolkata and you can not only choose the delivery date but also its delivery time which again increases the flexibility and excitement of online gifting. 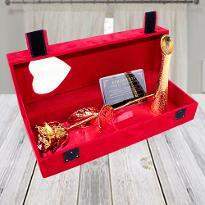 During checkout you can choose both the delivery date as well as the delivery time, you can also specify a delivery message with it which you will get written on a card with the sign of Winni and it will be sent along with your gift at no extra cost. 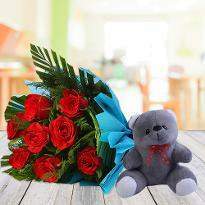 You can also get midnight delivery of flowers in Kolkata which is one of the time shown on that page just choose it and we'll deliver your present to your loved ones right at midnight. Add sweetened to your flowers by having cake delivery in Kolkata along with flowers. Winni offers variety of cake like heart shape cake, eggless cake in Kolkata etc. Flowers are the natural way of spreading happiness as they are natural gifts, but efficient enough to surprise someone and it can be done with an arrangement of multitude of flowers. Flowers are also used to express one's feelings which can't be expressed by mere words due to their symbolizing particular emotions. You can gift bouquets of different flowers on the eve of any celebration like anniversaries, birthdays, weddings, Valentine's Day, Father's Day, and Mother's Day which is a popular notion. So use flowers to say Get Well Soon or Happy Birthday or Happy Valentine's Day or Sorry or I Love You or Thank You or Warm Wishes to your loved ones with a bouquet or basket of flowers. 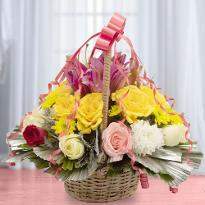 Winni offers you an array of creative and unique flower bouquets and flower baskets which are appropriate for every mood and occasion. 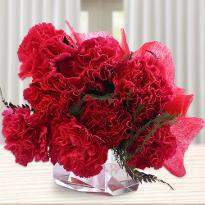 Another example except the roses which are used are carnations also known as Dianthus caryophyllus, is a rich and meaningful flower. Its scientific name roughly means flower of love or flower of the gods, this flower is one of the flowers which has been popular for centuries. It is one of the world's oldest cultivated flowers, this flower is appreciated for its clove-like scent, ruffled appearance and extended blooming period which makes it popular in the cut-flower industry. In a situation when you may forget an occasion or the reason of celebration you can get your flowers on the special occasion with same day flower delivery in Kolkata and happily wish your loved ones and ask their forgiveness for forgetting their special day. So anytime you want to spread the fragrance of happiness get your flowers with order online flowers in Kolkata and get the beautiful and fragrant flowers at your doorstep. Flowers are the appropriate gifts for one's loved ones and you can use these beautiful and natural gifts of nature and spread love and happiness around you. So go ahead on any occasion with flower delivery service Winni and be happy and spread the same message all around you and make you and your cronies' feel the merriment similar to flowers. 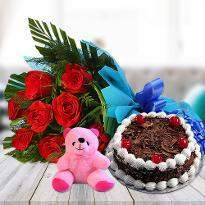 Have flowers and cake delivery in Kolkata at midnight and surprise your loved ones at the start of a new day. 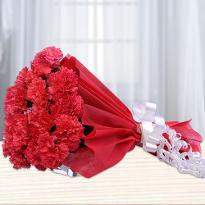 What are all variety of flowers available for home delivery in Kolkata? 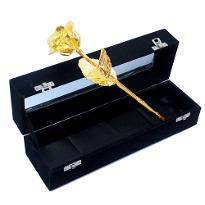 We have different varieties of flowers according to various colors, fragrance, designs and budget. All of our flowers are priced based on the complexity of the flower bouquet arrangement or the type of flowers. 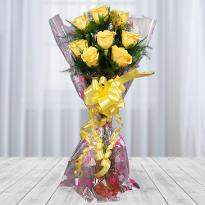 Winni offers flower bouquet in different sizes starting from single rose stem to a grand 10,000 roses bouquet. 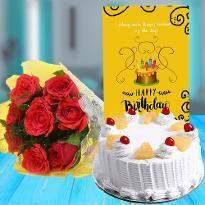 Winni has flowers available for various occasion which can be birthday, anniversary, new year, marriage, get well, rose day, friendship day, valentine's day, mother's day, father's day, Christmas, Diwali, Rakhi and many more. There is wide range of designs available to choose from. 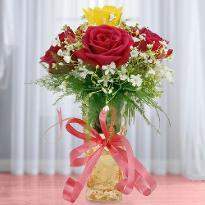 Winni has normal flower bouquet arrangement, flower baskets, flowers with vases, exotic flower bouquets and arrangement. We offers the best flowers at most reasonable price to bring smiles on the faces of our esteemed customers and their relatives. 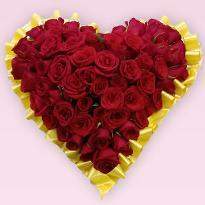 Even if you want to buy Valentine flowers in Kolkata for yourself, you can place order and we will deliver flowers to your door step. Can I also have cake delivery along with flower in Kolkata? 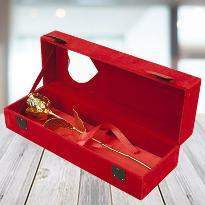 Yes, you can also opt for cake delivery in Kolkata, along with the flower as well. You just need to add both flowers and cake in your cart if you want both orders to be delivered together. Winni offers wide range of cakes to choose from, you can choose as you may like and order the same. Winni also offers eggless cake in Kolkata. 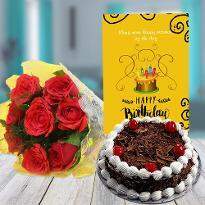 Once you have placed the order just sit back and relax, winni will ensure cake and flowers delivery in Kolkata at the address mentioned by you during checkout. 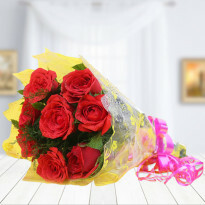 How can I order flowers online in Kolkata? Winni is an online gifting platform. 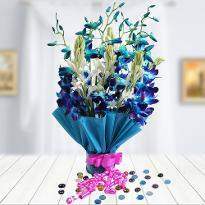 To order flowers in Kolkata you can visit Winni website or you can use Winni's IOS/Android app. Choose the most suitable flowers as per your wish and add the same to your cart. Once you have added the flowers in the cart, you can proceed to checkout or you can add more gifts along with flowers eg cake, chocolates etc. Winni offers the service of delivery date selection during the checkout. Once you have select the date, you need to make the payment for your order from the variety of payment options available including debit card,net banking, credit card, paytm, mobikwik, paypal and more. Once you have done above stated just sit back and relax, now our work starts. We will ensure the home delivery the fresh and lovely flowers as chosen by you at the address mentioned during the checkout. Does Winni also offer midnight flowers delivery in Kolkata? Yes! Winni does offer midnight flowers delivery in Kolkata. To opt for midnight delivery in India you need to select the midnight delivery checkbox during the checkout while placing order. There are some extra charges for midnight delivery also. Which all areas does winni offers flowers delivery? I was delighted with the service within timelines but my only concern is that the delivery guy calls up the person to whom the gift is to be delivered for the address details which may spoil the surprise as the person already knows by the call. This was the first time I tried Winni and quite amazed with the site and user experience. Just one thing here- which isn-t as big as it sounds- is delivery timings. If a user is paying 250 to get the item delivered- at least we expect it to reach around 10-15 min before midnight- not at 11 pm. 250 is almost 40% of the item price and we expect it to get delivered close to midnight- not one hour before. Just wanted to share it with you. Other than that- yes I will probably use it once again in future.